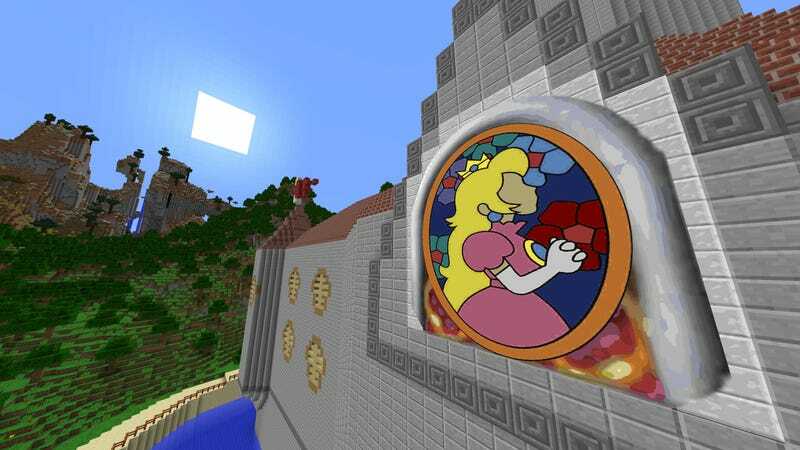 The castle hub from Mario 64 got a rather faithful recreation in the form of a Minecraft map. There are a couple neat touches to this build. For example, the paintings are all there in-game, regardless of the resource pack you use, because the builders—redditor SlipNSchlong and a “buddy”—imported them as maps (the in-game ones made of paper). They used this online tool to convert images of the paintings into maps. Also, the castle itself uses Time Lord technology is bigger on the inside. Using teleports, when you walk through the doorway into a room that would extend through the castle’s exterior wall, you’re warped into the actual room, which is outside the castle. Pretty cool. Below are couple more screenshots I took, in no particular order. If you wanna have a look yourself, you can download the map here. All you need is vanilla Minecraft to play.